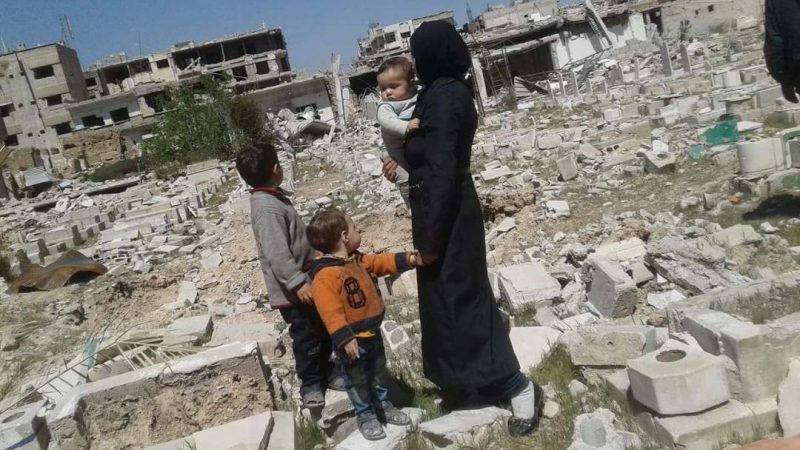 Safa and her children before leaving Jobar, Eastern Ghouta. 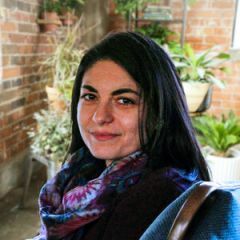 Photo by Safa, used with permission. My name is Safa. I was born 30 years ago. Today, I'm a mother of three children: the eldest is five years old and the youngest is less than a year. Three months ago, Assad's forces killed my husband during the constant shelling of our town, near Jobar in Eastern Ghouta. Now I am alone, sad and tired. My story started one Thursday. A Thursday that separates the years of siege, bombardment and death from the unknown future on the other side. The story started when the men said farewell to us and went to the front lines. We stayed, women and children, in the back lines of the Jobar front. We did not have any choice but to wait, consumed by continuous brutal, horrific shelling, and by continuously having to move to escape certain death. The men came back on Friday morning, preceded by disappointment, as the factions’ leaders had announced surrender. This meant handing the rebel areas over to the Assad regime and being forced out of our homes. We had lost all hope. Of being able to defend ourselves. Of being able to live and die near the soil that had embraced us since we were born and witnessed our childhoods. We would be forced to leave the town that had offered us its schools, whose fruit we had eaten, in whose neighborhoods we had played, whose residents we'd befriended, in whose buildings we had worked. It was the time of farewell and departure. This is how the time of our departure arrived—without our having a say in determining our destiny, without our being asked about what we wanted. Maybe some of us wanted to leave, but others wanted to stay in their houses and accept life under the control of the regime that killed, displaced, tortured and besieged us. But no one asked us what we wanted, as if that was not our destiny. So, we will be forcibly displaced, in order to maintain our principles, dignity and freedom. But this injustice is painful, and it burns my memory, or what remained of it. Assad's forces got closer to our house on Friday afternoon. That morning, we buried our 14-year-old cousin Mostafa. We gathered our few belongings, preparing to leave. When Assad's forces arrived, the rebels withdrew, the town notables disappeared and we were left alone, facing the unknown. Outside the house, people were carrying their bags and did not know where to go, moving chaotically in different directions. Everyone was asking everyone: where are we going? Where are the buses heading? We headed to Jobar, my ancestors’ land, the land that Assad destroyed with what his force and equipment, the land that had resisted and intimidated those forces, militias and allies for a long time. 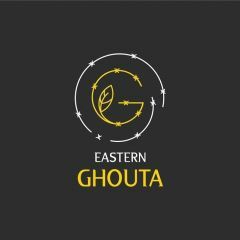 That gracious land embraced us in our last days in Eastern Ghouta. The torturous search for the buses assigned to the forcibly displaced and for ways to leave the town started in Jobar. We knew that the green buses were in Arbin city and those who wanted to leave should go there and wait in the streets for their turn to come. Everything was shrouded in ambiguity. No clear information about arrangements or destinations was available. In Jobar city, we stayed for three days near our dear martyrs: my husband, brother and cousin. We spent our last days there next to their graves, talking to them, crying for our loss and saying farewell. We met our relatives and others dear to us there, also saying farewell to their loved ones under the ground. We went to Arbin via Zamalka. The scenes we witnessed were heart-breaking. People were sleeping in the streets awaiting their destiny, powerless. Getting on the buses happened through nepotism. Even in such a situation, corruption controlled us. We registered our names with more than one faction, fearing that we might lose the chance for salvation. A convoy of buses arrived in Arbin, at a location controlled by one of the fighting factions in Eastern Ghouta. I ran towards them carrying two of my children while the third ran alongside me holding on to my clothes. The place was unlike anything I've ever seen: countless people, fear and horror everywhere. I still hear my children's cries every time I remember that scene. Those responsible for organizing the boarding of the buses wanted their relatives and friends to get on first. They called their names, and the relatives and friends pushed past the crowds of other women and children, stepping on those who fell on the ground. No one had any idea what was happening. Saving oneself was the aim. After suffering in front of the bus door for more than an hour, being pushed to and fro in that crowd, we got on the bus that would carry us into the unknown. That bus on which we used to travel to summer resorts and beaches, to enjoy the beauty of a country that now rejects us, that same bus carried us sad, defeated and filled with pain to an unknown destination. “Who will host us? Where will we live? How will we sleep?” Many questions were revolving in my mind that day. The bus moved off. It was the last time we saw the destruction and the rubble we'd lived under and which had buried many of our dear ones, the last time we inhaled that air saturated with death. At the checkpoint, a Russian officer boarded the bus and welcomed us, smiling as though that would make us forget his occupation of our houses. Then Syrian name-takers and investigators, male and female, got on the bus. Their eyes were filled with fear, while our gazes were strong and defiant. Yes, we had lost our land, but we had not lost our dignity, identity and respect for ourselves. The buses moved on and we passed through the checkpoint to the gathering point. There, we waited until the rest of the convoy arrived to start the journey by night. Our convoy arrived in Damascus, my dear Damascus. Finally, I saw it, but it was not free as I would have liked; it was handcuffed by the manacles of the accursed jailer. It is my Damascus, mine and my ancestors’ land. Beloved Damascus with its roads, streets, pavements and jasmine. How cruel this farewell scene was! I told myself that I would come back one day, swearing it by the blood of my martyrs, I will. Oh… my heart was crying and my eyes were filled with tears. The buses passed through the Damascus streets, where the crowds of people stared at us. Some eyes expressed sadness at our forcible displacement; other faces expressed happiness and laughter, and others frowned. Some people waved to us but others seemed afraid and tentative. I waved back, saying goodbye, I will return, this is a promise I made to myself and to those I left under the virtuous ground there. The convoy was on its way. To where we did not know. Along the way, people cursed us and threw stones. From cars belonging to Assad militias driving next to us, people threw dirt, took photos and mocked us. They did not know that our souls were satisfied and our dignity intact. The convoy, as slow as a turtle, arrived in Qalat al Madiq, our bones and bodies wracked with pain from to the long hours in those narrow seats. Children were crying and adults were exhausted with nausea, dizziness and fear. That was the worst trip ever for most of us, a long, arduous trip through the beautiful landscapes of our beloved Syria. The plan was to drive us through areas that supported the Regime. People were standing on both sides of the road throwing hard stones, trying to break the windows above our heads and shouting poisoned words that showed their ugliness. On the bus we remained calm but confused, enveloped by sadness and grief. In al Madiq town, people welcomed us cheerfully and generously, a welcome that assuaged some of the pain we carried. They helped us carry our luggage to another bus whose destination we didn't know, but which they said was heading to some kind of accommodation center. What a neverending trip! The roads here were different. The sun was shining, sending its rays everywhere, a beautiful scene. We did not close our eyes, though we were so tired. After 24 hours on the road we had arrived in our final destination, a mosque in Idlib city called al Rahman Mosque. Remember my story. My name is Safa. I was born thirty years ago. I was forcibly displaced from my home with my three children. I'm now alone, sad and tired.